Dr. Scott W. Sunquist has accepted a call to be the next president of Gordon-Conwell Theological Seminary, in Hamilton, Massachusetts. This is a loss to our Fuller Seminary community in many ways, but it is with a sense of immense gratitude that we congratulate Scott on this new position. Scott has served the School of Intercultural Studies very ably and with great passion and faithfulness since his appointment as Dean in July 2012. Scott came to Fuller after 17 years at Pittsburgh Theological Seminary, where he served as Professor of World Christianity. Prior to that he was Lecturer in Church History, Ecumenics, and Asian Christianity for eight years at Trinity Theological College in Singapore. He is a prolific writer and renowned scholar in the areas of missions and Asian Christianity, having received awards for his books from both the American Society of Missiology and Christianity Today. Scott’s leadership has had a significant impact on the faculty, students, programs, and global reach of our School of Intercultural Studies that will continue long after he’s gone. To name just a few of his contributions: He launched programs for training missionaries in the field as well as for training church planters. He started two book series: the Missiological Engagements book series at IVP Academic—which include texts from the school’s annual Missiology Lectures—as well as the Mission in Global Community book series with Baker Academic. 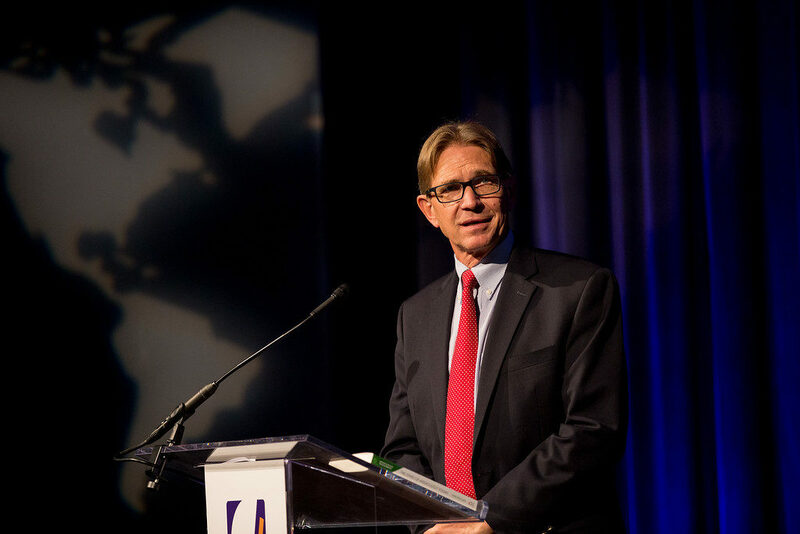 During his time at Fuller, Scott has respectfully honored his school’s four former living deans, preserved the school’s integrity and ongoing mission, and been a strong, outspoken advocate for international students—including expanding our programs globally and consistently offering programs and events in four languages: English, Korean, Spanish, and Chinese. He diversified the school’s faculty from one Korean faculty member to the additions of Dr. Keon-Sang An, Dr. Eun Ah Cho, Dr. Enoch Jinsik Kim, Dr. Peter L. Lim, Dr. Johnny Ramírez-Johnson, and Dr. Amos Yong—as well as diversifying the school’s staff. In accepting the presidency at Gordon-Conwell, Scott will be retracing familiar steps in two important ways. First, after receiving his bachelor’s degree at the University of North Carolina and before earning his PhD from Princeton Theological Seminary, he completed his MDiv at Gordon-Conwell Theological Seminary. Second, both Gordon-Conwell and Fuller count among their founders and presidents Harold John Ockenga. The shared DNA of the two seminaries will make Gordon-Conwell a welcoming home as Scott’s professional trajectory comes full circle. Scott will begin at Gordon-Conwell in early 2019, and we will work with the faculty in the School of Intercultural Studies to seek a smooth transition in leadership. Please join us in wishing Scott heartfelt congratulations. He will indeed be deeply missed by the Fuller community.